I always wanted to learn how to fly fish. Does anyone want to tell me ? I'm Sher, and I love fishing. 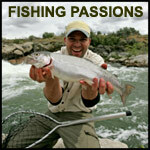 Title: Funny Fishing Bloopers - Who Said Fishing was boring?